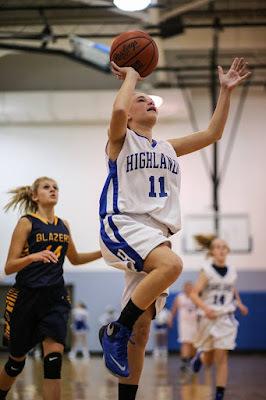 Highlands boys and girls will continue playing their home basketball games on a different count. 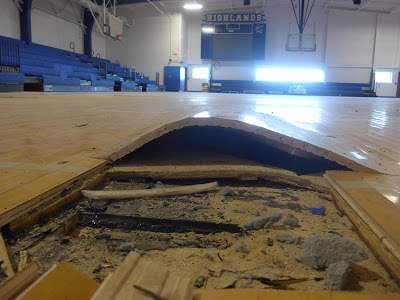 As part of the reconstruction and remodel of Highlands, construction on the gym was slated to be completed by mid-November, but water ruined the three-year old hardwood at the Highlands gym, which forced the Board of Education to pass an emergency measure to replace it in October. Due to construction on the gymnasium, the Highlands High School boys and girls basketball teams will be hosting their home games at Highlands Middle School and Thomas More College through January 9. If construction finishes early, they will bring the Birds back to HHS as soon as possible. Water warped the hardwood in the Highlands gym in late September 2015. This caused a total replacement of the three-year old hardwood and delayed misplaced the entire volleyball team season, as well as a majority of the basketball seasons.